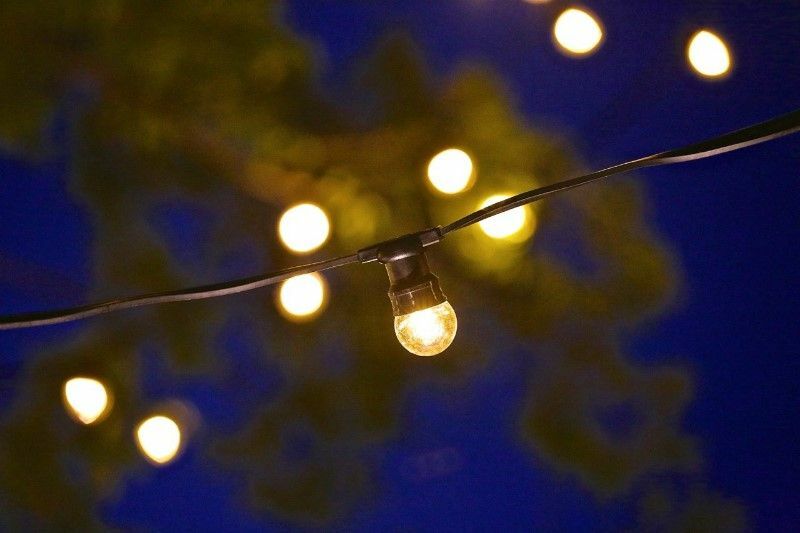 When shopping for outdoor lighting, you’ll want to understand what all those IP ratings mean. 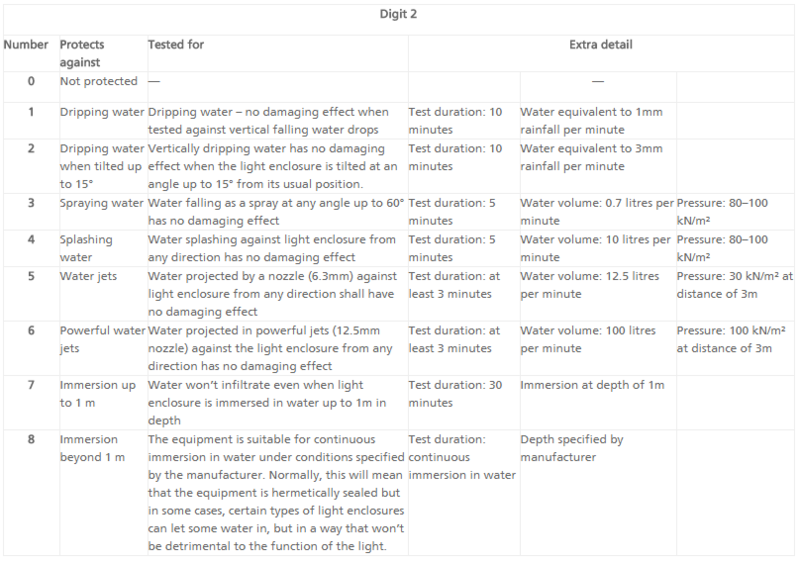 The IP (Ingress Protection) code was designed to give non-experts a simple and clear idea of how protected a light fitting is against solids and liquids. The first digit in the code tells you how resistant it is to solid objects, like dust particles, while the second digit tells you how well-protected it is against liquids, like water. Predictably, a higher number means a better level of protection, so a fitting with a rating of IP64, for instance, is well-protected against dust and fairly protected against water. On occasion you may find an X in place of a digit, e.g. IPX3. This just means that the level of protection is undetermined, typically because the product hasn’t been tested for protection against solid particles. As you can see in the following tables, the first digit can have a rating between 0 and 6, and the second can have a rating between 0 and 8. Obviously, you want your lights to be protected from the extremities, whether they’re inside or outside. Security lights are mostly designed for the outdoors, and some have higher IP ratings than others. If you wanted your lights in a completely unsheltered area, for example, then shatter resistant LED floodlights would be a good choice. With a usual rating of IP65, they are completely dust-proof and protected against pressurised water jets from any direction. If you are placing your light fittings under a sheltered area, then you’ll want them to have some level of protection but you won’t need them to have the highest rating. Fittings rated IP44 would work fine for this as they would be protected against small foreign bodies and splashes of water. Lights that need to endure more pressure, in water features, for example, would work best with the highest rating of IP68. However, it is always recommended that you double check with the manufacturer to ensure you buy the right products for the more extreme environments.